Google was pretty much the new kid on the block, and social media? Well is hadn’t even happened. We have grown along the way (which is always quite nice) and now have several offices dotted around the northwest with our sales hub situated in Media City Manchester. Our accounts and admin are based in Wigan, whilst our call staff are over in Wrexham! Its not that we don’t get on its just its evolved that way! So that was then and a little bit of a brief (very brief) history on the logistics of where we are in providing SEO services very much based in Manchester with hubs dotted around the northwest. Manchester’s culture is very vibrant and creative, and SEO sits we believe very neatly, as in order to achieve very good SEO you need to think out of the box. Less of the jargon and more about what the above actually means, and how it can make your business website seen locally in Manchester or if you want to touch all of the UK market place. We have been around the block, not many SEO companies are still here after 15 years, many went to the wall, lots over promised and under delivered the result the industry got itself a pretty poor name. So what should you be looking at when you require a local SEO services based in Manchester? 1. Get the company to prove it, how are they achieving great results for their existing clients, get them in sitting in front of a computer look up Google and see if they can be found using great keywords. 2. Ask them that they are using only “white hat methods” now this might sound like something from a Harry Potter film but the alternative “black hat seo” can get your site downgraded or even black listed by Google. If you’d like me to explain white hat methods then please just give me a call and I will explain for you, or drop me a line and I can email you or alternatively check out this link white hat seo manchester. 3. Transparency, will you be able to login and check the progress of your site and the work being carried out, measured against your expectations and what has actually been promised. 4. Will they analyse your competition find out whats working for them and take a real interest in your business and its aims, we did this with our client Buildbase we were tasked 3 years ago to double their unique visitor numbers, within 18 months we over achieved this and now they receive 3 times the traffic and its still rising. 5. How much do they talk about the content of your site and how this is important, how often they advise you to update your site. 6. Social media, another now important piece of the jigsaw, do it well, every day, get your profiles up on Google Plus and places, Twitter feeds, Facebook, if you have products make videos and get them uploaded onto You Tube and have them linked to your site. 7. Pay per click, landing pages and the importance of negative keywords, bounce rates, and your cost per conversion. 8. Backlinks, the importance on not the number of them but the high quality relevance. 9. Testimonials, what do their current clients make of the work they have done for them? 10. Article submissions, blog posting and how often to do them and how to optimise these well. 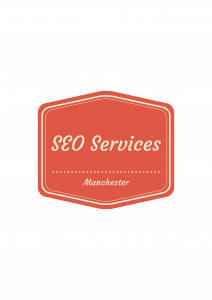 The above are in no particular order, but if you are serious about employing SEO services in Manchester and they don’t mention the above things..run for the hills. SEO done properly is a time consuming business, and you would say hey he’s bound to say that, its his line of work. But if you think about it if it were really that straight forward no one would be blogging, there would be no businesses using social media and ultimately there would be no reason to employ us! Oh and some Manchester business’s wouldn’t be spending a small fortune on pay per click services either! Hope you found the above useful and remember we are also on hand to guide you through the process and can offer genuine usually helpful advice on SEO. RSS. I don’t know whhy I can’t subscribe to it. Is there anbody else having siomilar RSS issues? very useful post! someone who knows what they are talking about. Howdy would you mind letting me know which webhost you’re workking with? I must say this blog loads a lot faster then most. Can you recommend a good hosting provider aat a reasonable price? Good post, Id be interested for you to take a look at our site, I have heard very good things about Placeyoursite! Are you expensive? ?